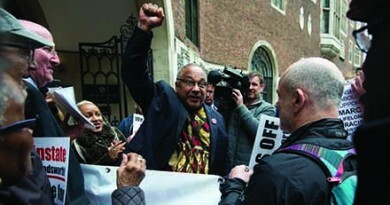 Ken Livingstone, another comrade who is also in trouble for making clumsy comments with a kernel of truth, made the incontrovertible observation that “I suspect you’ll find the majority of people in Britain didn’t know the Holocaust Memorial Day had been widened to include others,” he said. 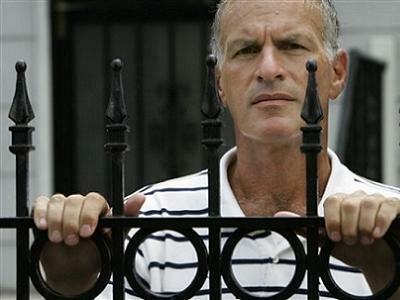 Norman Finkelstein’s 2000 polemic described how the Nazi holocaust and the destruction of European Jewry became the “The Holocaust”: an “ideological representation” of this real historical event, that has is now presented as “categorically unique historical event” which “cannot be rationally apprehended … Indeed, The Holocaust is unique because it is inexplicable, and it is inexplicable because it is unique” (pp41-45). And which, it must be added, via the ruthless battle for the ‘memory’ of the holocaust becomes a form of the class struggle itself. 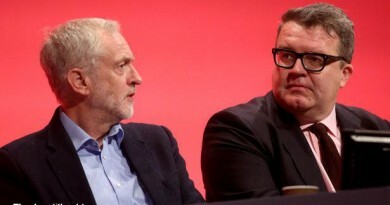 That, not the bilge about ‘anti-Semitism’ is the political significance of the attacks on comrades Walker, Livingstone and many others in the Labour Party. 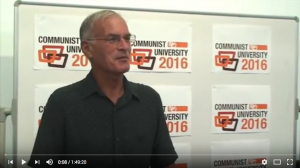 A video of Norman speaking at Communist University 2016 on the issue is available here. This book “provides considerable comfort to every holocaust denier, neo-Nazi and anti-Semite on the face of the planet” (Tobias Abse New Interventions autumn 2000). Finkelstein comes “dangerously close to giving comfort to those who dream of new holocausts” (Alex Callinicos Socialist Worker July 22, 2000). “How different is [Finkelstein’s] assertion that ‘the field of Holocaust studies is replete with nonsense, if not plain fraud’, from the holocaust revisionist David Irving’s rantings …?” (Socialist Worker July 22). “He’s poison, he’s a disgusting self-hating Jew, he’s something you find under a rock” (Leon Wieseltier, Zionist intellectual and literary editor of New Republic). On the surface, Finkelstein has impeccable credentials to write on the horror of that broke over European Jewry in WWII. Both his mother and father were survivors of the Warsaw ghetto and the Nazi concentration camps. Apart from his parents, every family member was exterminated by the Nazis. In the words of Finkelstein, “My earliest memory, so to speak, of the Nazi holocaust is my mother glued in front of the television watching the trial of Adolf Eichmann (1961) when I came home from school” (p5). It is also very ironic that Finkelstein’s project is rather moderate in its scope and its intentions – essentially, all he wanted to do is make the holocaust a subject of rational inquiry. This entails rescuing real history from the clutches of “holocaust correctness” (p65) and so-called ‘holocaust awareness’, which, to use the words of the Israeli writer, Boas Evron, is actually “an official, propagandistic indoctrination, a churning out of slogans and a false view of the world, the real aim of which is not at all an understanding of the past, but a manipulation of the present” (p41). Finkelstein’s project is to strip away all the self-serving myths and falsehoods which envelop the holocaust, which can only mean stepping on a lot of very sensitive toes – some powerful, some just desperate for a crumb of ideological absolutism in an uncertain and disturbingly relativistic world. As he clearly puts it in his mission statement, “In this text, Nazi holocaust signals the actual historical event, The Holocaust its ideological representation … Like most ideologies, it bears a connection, if tenuous, with reality. The Holocaust is not an arbitrary, but rather an internally coherent, construct. 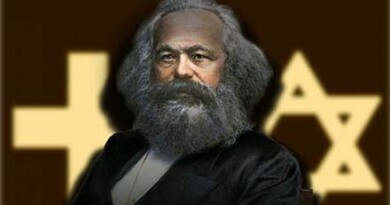 Its central dogmas sustain significant political and class interests. Indeed, The Holocaust has proven to be an indispensable ideological weapon” (original italics – p4). 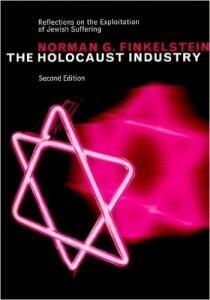 In other words, Finkelstein wants to understand how the Nazi holocaust became “the Holocaust” – a “categorically unique historical event” which “cannot be rationally apprehended … Indeed, The Holocaust is unique because it is inexplicable, and it is inexplicable because it is unique” (pp41-45). As a graphic example of the “sacralisation of the holocaust”, as the liberal scholar Peter Novick dubs it, some have been infuriated by Finkelstein’s blunt statement that “much of the literature on Hitler’s ‘final solution’ is worthless as scholarship. Indeed, the field of Holocaust studies is replete with nonsense, if not sheer fraud” (p55). Finkelstein’s remit is to explain the way in which the ruling class and reactionary forces in general have managed to expropriate the ‘memory’ and discourse of the holocaust – to the extent that the almost unimaginable suffering endured by the victims of Nazi rule has become the virtual political-moral property of the reinvented, post-World War II bourgeoisie, which never tires of parading its new-found anti-racism/fascism. The semi-hysterical reaction to Finkelstein’s birth described above illustrates the alarming climate of censorship that has grown alongside this ideological appropriation. It says it all that the Socialist Workers Party, former Finkelstein fans, issued a call for the works of David Irving to be prohibited from public libraries. If Finkelstein’s views also come “dangerously close” to Irving’s, as Alex Callinicos wrote in Socialist Worker (July 22 2000), then why not demand that The holocaust industry also be removed from public libraries? A very slippery slope. ‘The Holocaust’ – as opposed to the Nazi holocaust – is largely a retrospective construction by those with various (and sometimes rival) ideological and ‘special interest’ axes to grind. Indeed, ‘The Holocaust’ would not have been recognisable to most people who went through World War II and Nazi rule. In some respects, an anachronism (‘The Holocaust’) is being introduced as an alternative to understanding contemporary responses to real events. Substituting for a rational examination of the specific historical dynamics that led to the Nazi holocaust, we have the mystifying fog of ‘holocaust awareness’. This is easily observed by the way that Martin Niemöller’s famous mea culpa (“First they came for the communists …”) has been radically doctored for political reasons. Infamously, Time magazine’s ‘new’ version promoted the Jews to first place and dropped both the communists and the social democrats. Al Gore publicly did the same too – and for good measure he dumped the trade unionists as well. Gore, Time and others have all added Catholics to Niemöller’s list – even though he did not mention them. In the heavily catholic city of Boston, they were added to the ‘quotation’ inscribed on its holocaust memorial. Naturally, the establishment-sanctified US Holocaust Museum airbrushes out the communists from its roll call of official victimhood (but, interestingly, the holocaust bureaucrats decided to retain the social democrats as authentic, bona fide victims). Others have decided to include gays – the fact that Niemöller did not was obviously a mere ‘oversight’ on his part. This footloose and fancy-free attitude to what should be a basic, easily verified and hence non-contested truth clearly demonstrates that the ruthless battle for the ‘memory’ of the holocaust is a form of class struggle – and a handy indicator of the current balance of class forces. Once upon a time, at least in the US, to ‘harp on’ about the Nazi holocaust was a sign of dangerous pinko-commie leanings. Now it is a badge of moral and bourgeois uprightness. Niemöller himself symbolises this shift in bourgeois ideology. Another significant aspect to the debate is the so-called uniqueness of the holocaust, an idea heavily pushed in schools, colleges/universities, books, TV documentaries, films, etc. Banally speaking of course, every single event that has ever happened, and ever will happen, is ‘unique’. The evangelists for ‘uniqueness’ have a different agenda though. Take Deborah Lipstadt, occupant of the holocaust chair at Emory University, an appointee to the United States Holocaust Memorial Council and author of the widely lauded, Denying the holocaust: the growing assault on memory and truth. Lipstadt became a liberal hero for successfully slugging it out with David Irving last year in the British courts, after the Hitler-admiring historian filed a doomed libel suit against Lipstadt for branding him “one of the most dangerous spokespersons for holocaust denial”. What was not mentioned in the mainstream press coverage of the time, and which throws a different and less salutary light on Lipstadt’s motivations, is that she is on record declaring that if you do not accept the ‘uniqueness’ theory, you must be effectively classed alongside those who deny the very historical fact of the Nazi holocaust itself. We are all potential Irvings then. Thus, in Denying the holocaust, Lipstadt rages against the drawing of “immoral equivalences” with the Nazi holocaust – like the Armenian genocide. This has “intriguing implications”, according to Finkelstein, who observes: “Daniel Goldhagen argues that Serbian actions in Kosovo ‘are, in their essence, different from those of Nazi Germany only in scale’. That would make Goldhagen ‘in essence’ a holocaust denier. (The holocaust industry: reflections on the exploitation of Jewish sufferingLondon 2000, p71). Inconsistencies, contradictions and paradoxes may abound in the ‘uniqueness’ school of Wiesel, Goldhagen, Lipstadt et al – but it is strongly recommended that you make loud, approving noises if you want to find yourself with your feet well under the table, and if you are non-Jewish it could also mean that you are actually feted (always nice). Reject the doctrine, however, and purdah beckons – doubly so if you are Jewish and thus an abominable ‘self-hater’.